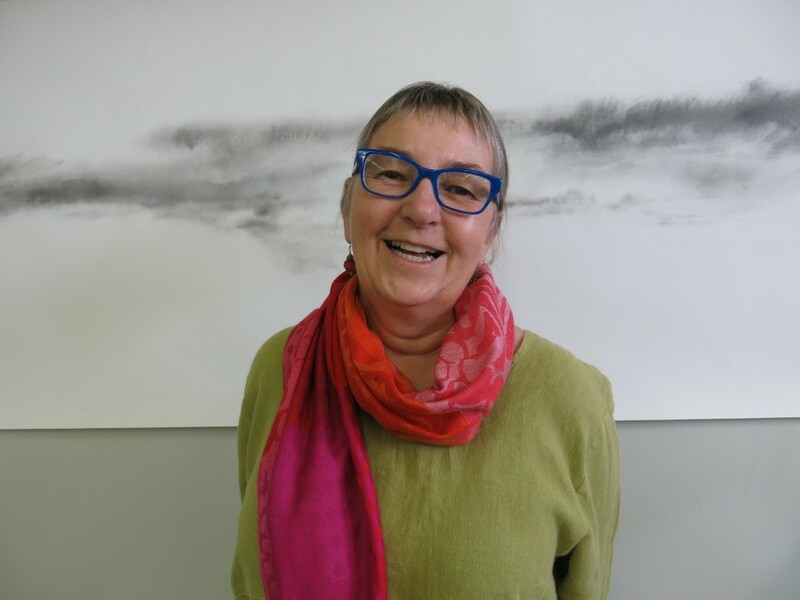 SOFAAR member, textile artist, drawer and printmaker Bonnie Baker has received provincial recognition at the 2016 Creative Nova Scotia Awards. Bonnie was awarded one of 5 Established Artist Recognition prizes (worth $5000) at a ceremony in Halifax on November 5th. Bonnie studied printmaking at NSCAD. She is also involved in regional art making exhibition. Bonnie lives in Annapolis Royal and juried SOFAAR’s first show held at ARCAC earlier this year. 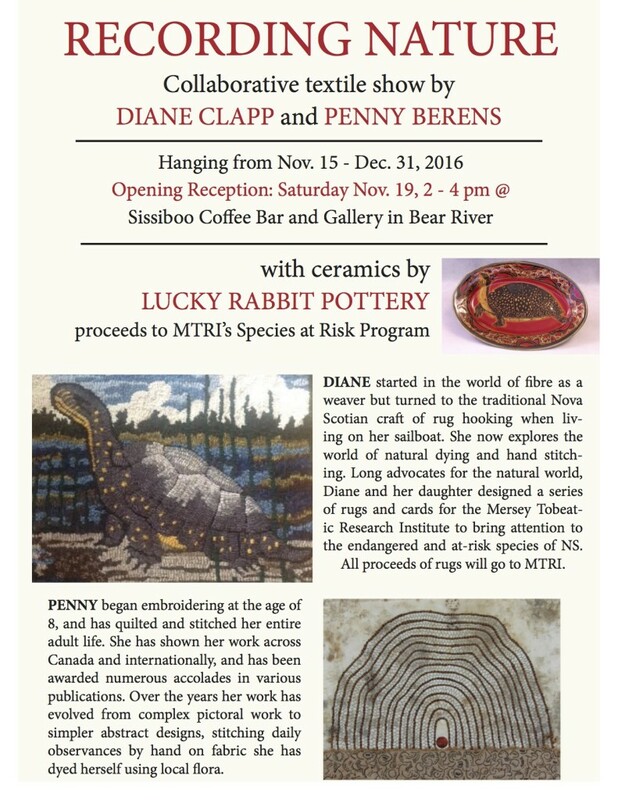 Diane Clapp and Penny Berens (both SOFAAR members) along with Lucky Rabbit Pottery have an exhibit at the Sissiboo Coffee Bar and Gallery in Bear River from November 15th to December 31st 2016. The opening reception will take place on Saturday, November 19th from 2-4 pm. All SOFAAR members are invited to attend a “social” on Wednesday, December 7th from 6 to 8 pm in Annapolis Royal. To put us all in the Christmas mood we invite members, who wish to, to bring along for show and tell a Christmassy (or not!) fibre piece they have made or are making! It can be an ornament, a wearable piece of fibre art (mittens, anyone?) or any kind of fibre work you would like to show off! It doesn’t even have to be Christmassy! Now is your chance. Our hospitality committee will look after food and drink, so just bring yourself and your show and tell. If you are not presently a member of SOFAAR, come along and join! 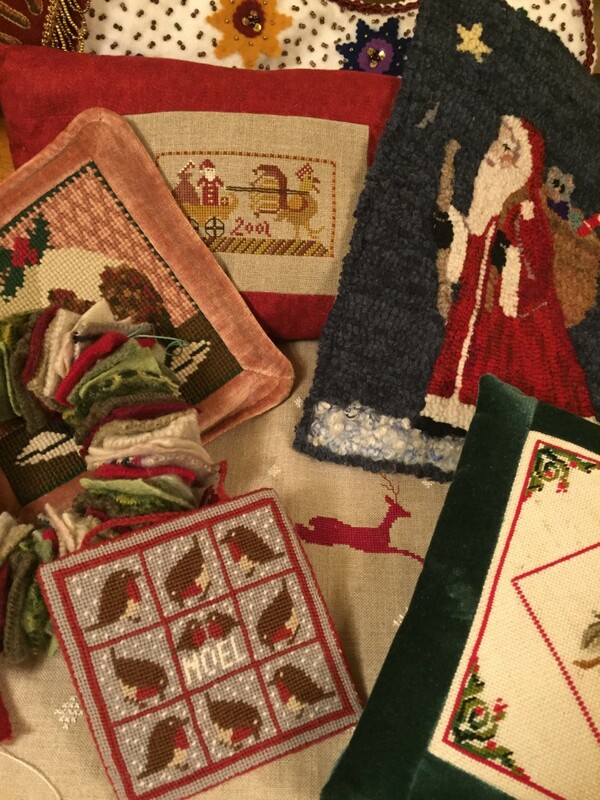 Some Christmas themed stitched pieces.